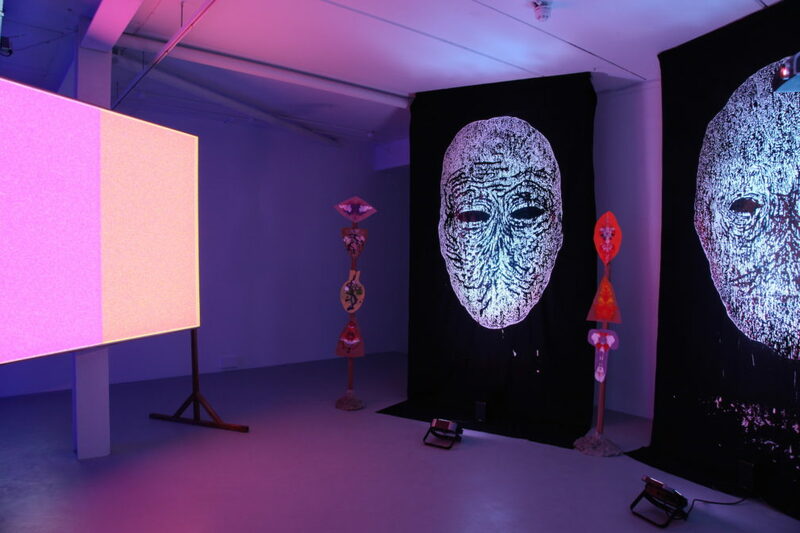 The Saw Tooth Wave is an installation of new work by Benedict Drew which includes video, painting, sculpture, and wall drawing. 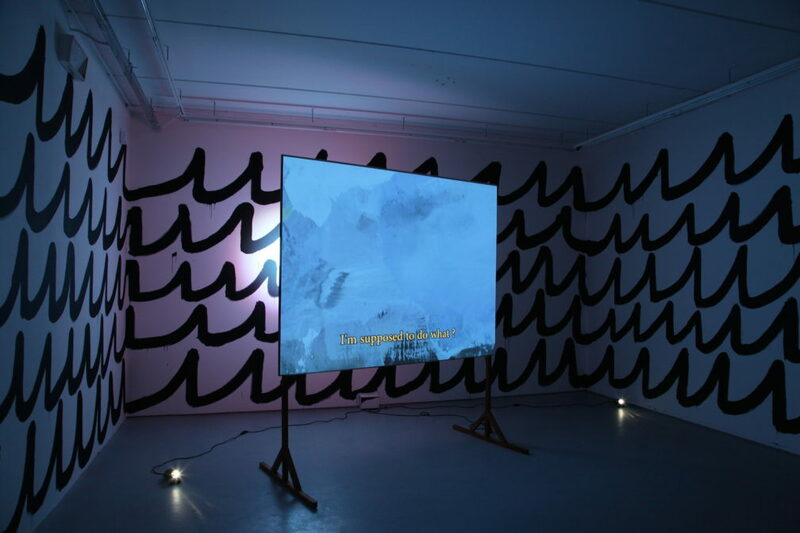 The Saw Tooth Wave continues the artist’s interest in the ways that technologies and cultural zeitgeists imbue our experience of the world, taking its title from a type of audio wave form common to the sounds produced by synthesisers from the 1960s onwards. 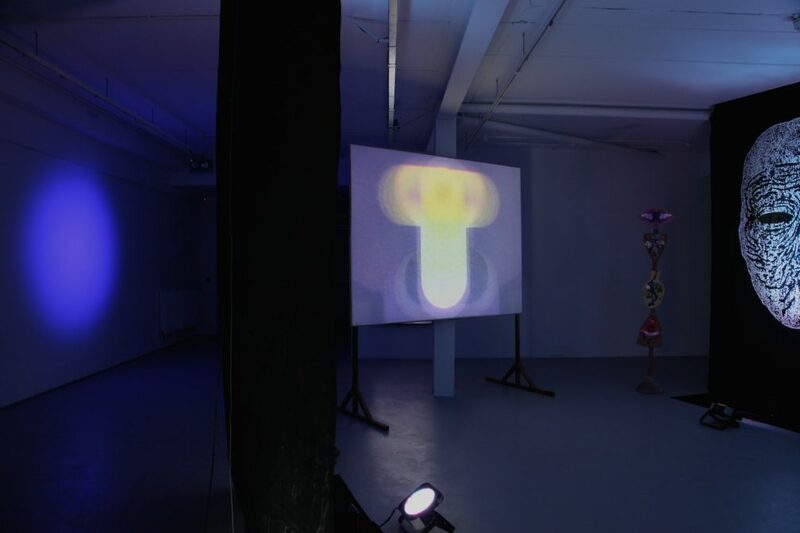 Across the two exhibition spaces, the artist presents scenarios where things appear to be looking at other things. 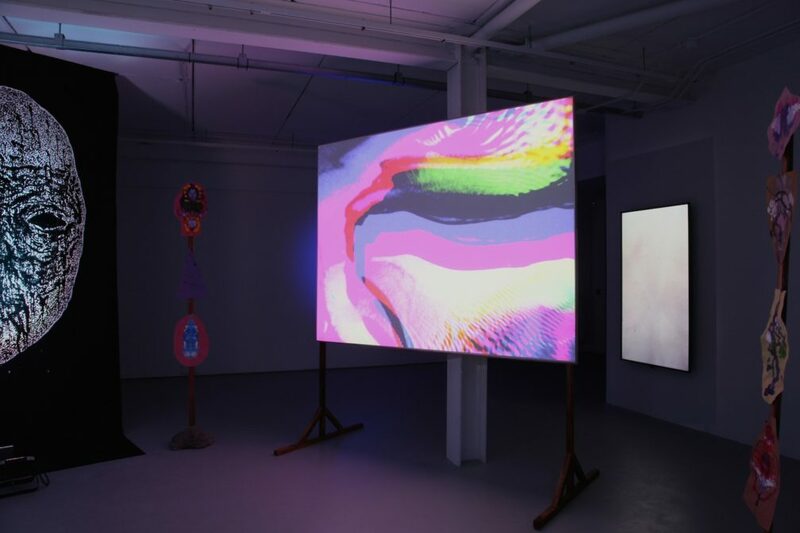 In Gallery 2, a huddle of four hanging paintings – each with a sad mouthless face – stare at a programme of abstract video that recalls the experimental psychadelic films of the 1960s and 70s; the paintings bathed in the colour and strobe of the video. 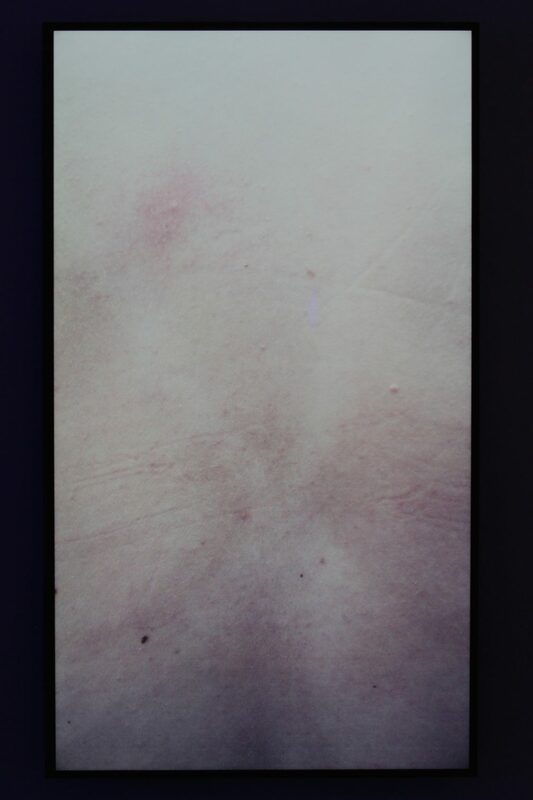 On a wall-mounted monitor, also in Gallery 2, a body fills the video frame. 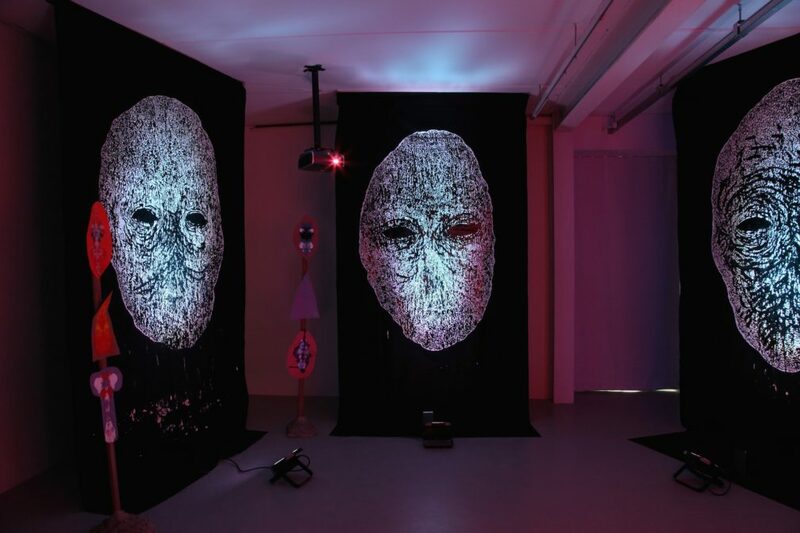 The woman is turned away from us, denying our sense of what is being seen by her and limiting our viewpoint to the slight movements and gender-coded imprints upon the skin. 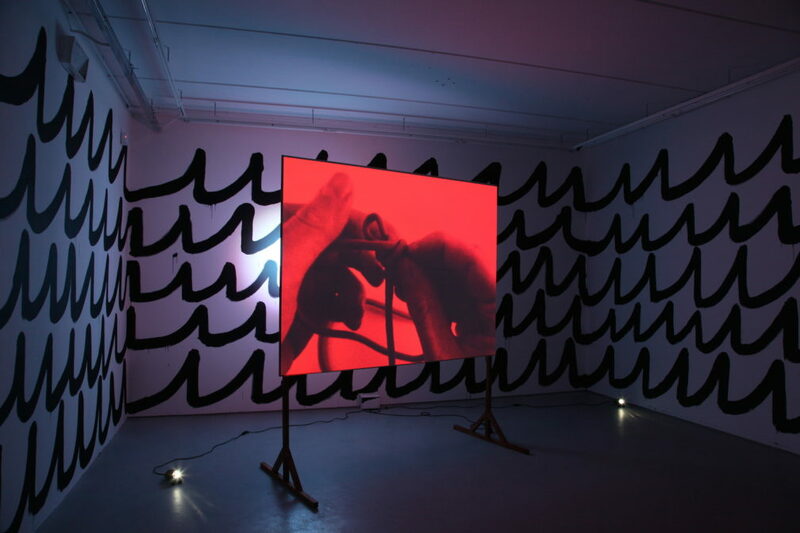 The sense of a deferred spectatorship through other bodies also extends to Gallery 3, where a video projection progresses through a sequence of abstract and representational scenes. 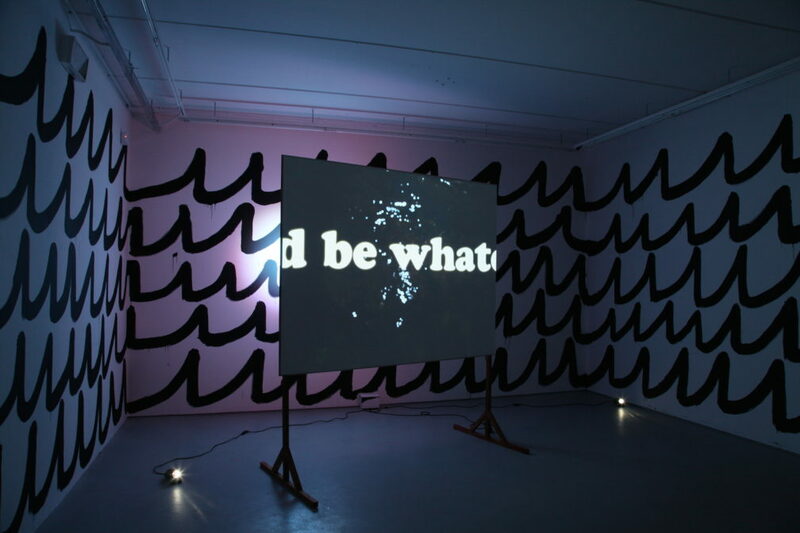 Throughout the video, the camera points and probes at a world that doesn’t reciprocate its enquiring gaze. 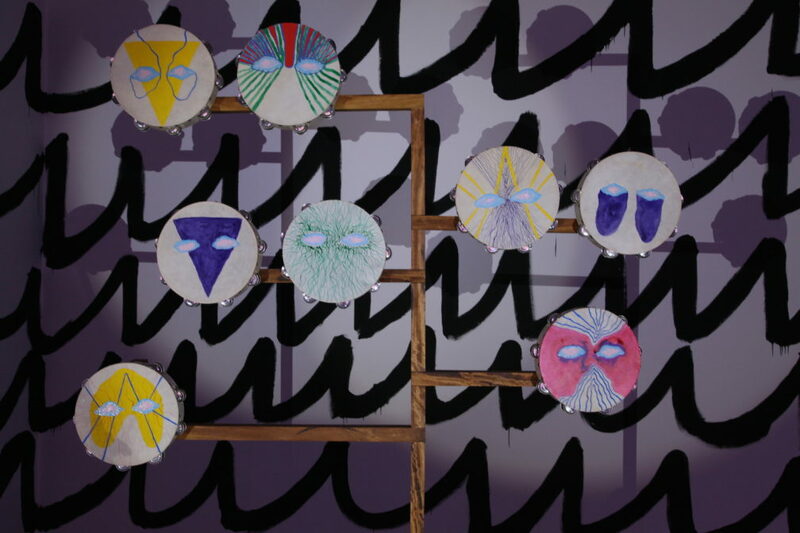 A tree-like structure, set with a number of painted tambourines, look upon this projection, embodying the video by rattling to the effect of its audio channel. 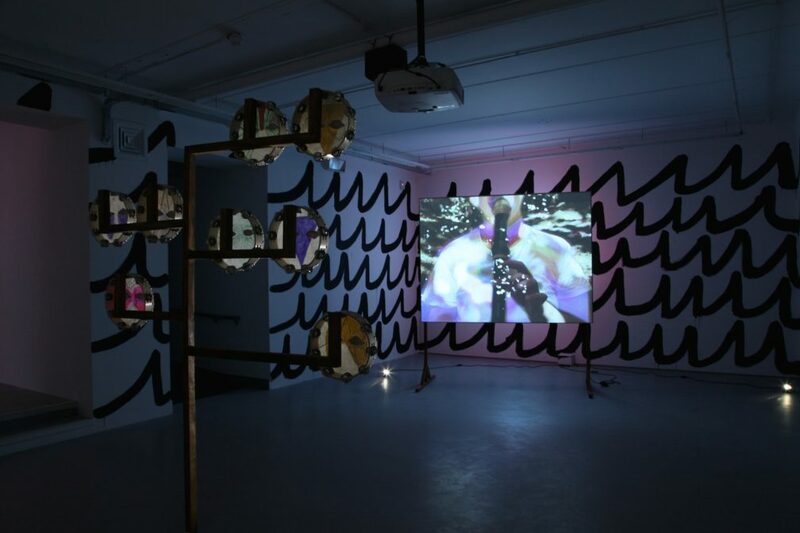 The Saw Tooth Wave is an installation that touches on a number of ideas: technology and abstraction, embodiment and spectatorship, gender codes and somantic affects. 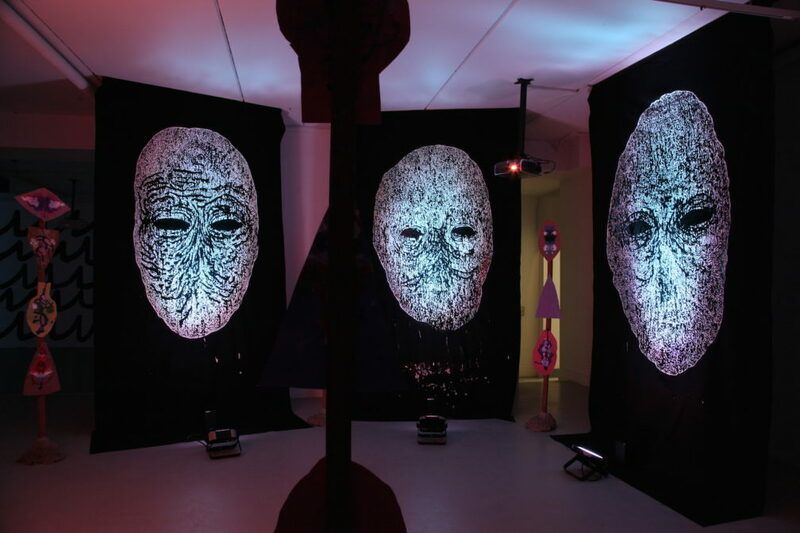 Yet, rather than presenting a critical deduction of these ideas, the installation conducts a mood of experience that weaves through the exhibition as a whole. 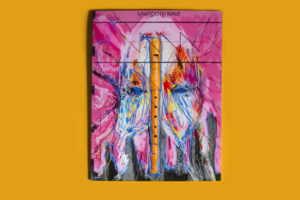 To accompany the exhibition, the artist has also produced an EP (see below) and a limited edition zine available here. 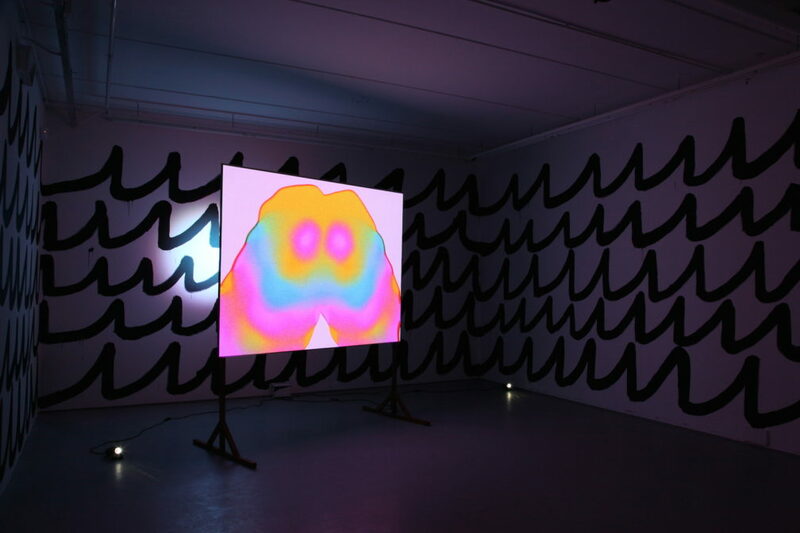 Benedict Drew (b. 1977) lives and works in Whitstable. 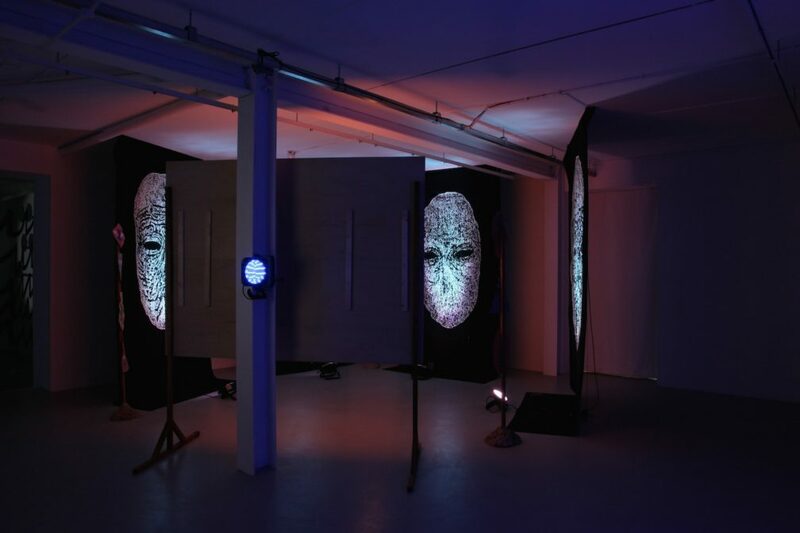 Solo exhibitions include Matt’s Gallery, London (2014), SASA Gallery, Australia (2014), Phoenix Gallery / Two Queens Gallery, Leicester (2013), Whitstable Biennale (2012), Cell Project Space, London (2012) and Outpost, Norwich (2012). 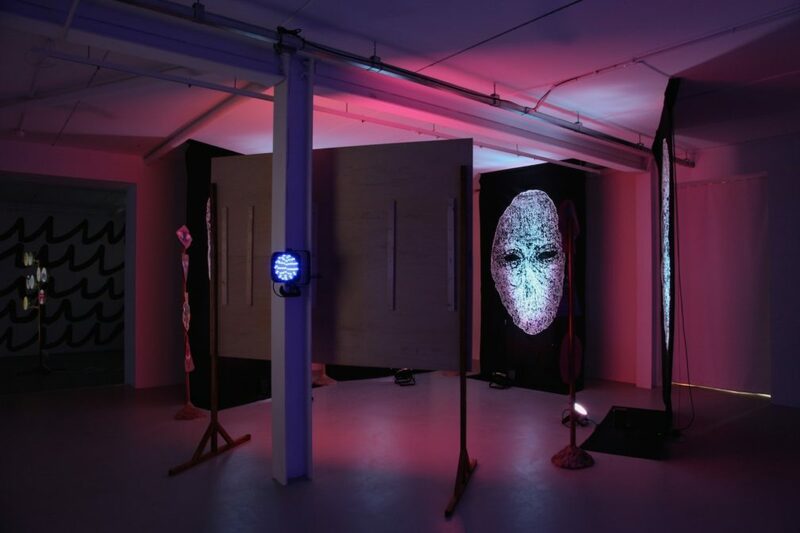 His work is currently on show as part of The British Art Show 8, and has been previously shown at The Lofoten International Art Festival, Museum of Arts and Design, New York, Young Projects Gallery, Los Angeles, Import Projects, Berlin, Milton Keynes Gallery and ICA, London. 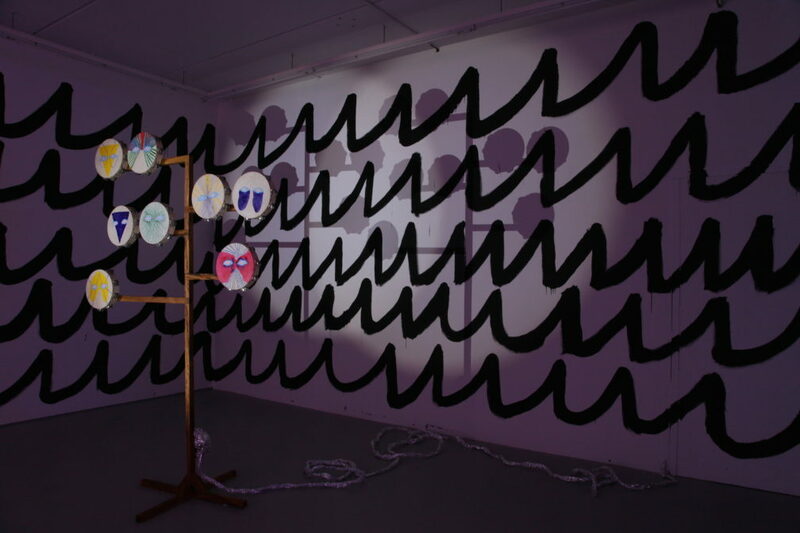 Drew graduated from Slade School of Fine Art, London in 2011 and was a LUX Associate Artist 2011-12. 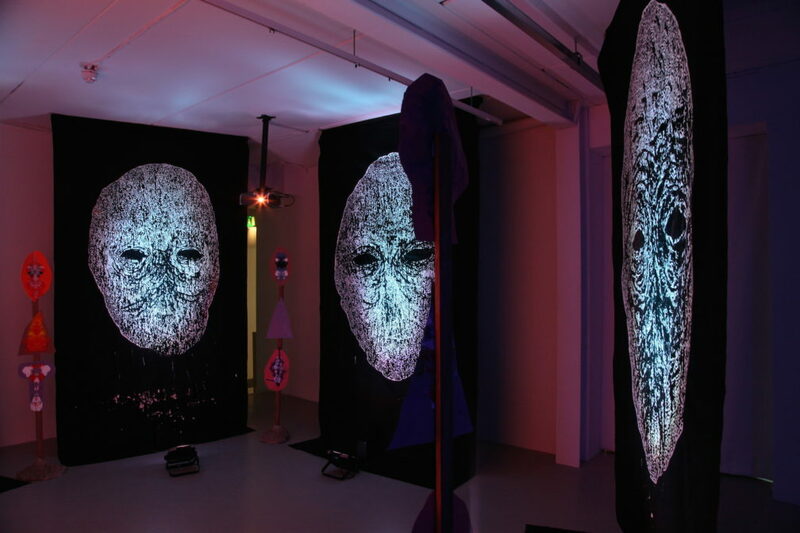 The Saw Tooth Wave is generously supported by the Arts Council of Northern Ireland.